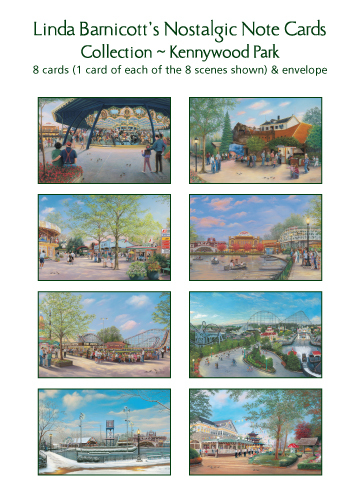 Secondary market prints of “The Magical Entrance of Kennywood” are available in very limited quantities. 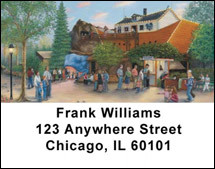 Please call 1-888-748-8278 or email Linda for more information. 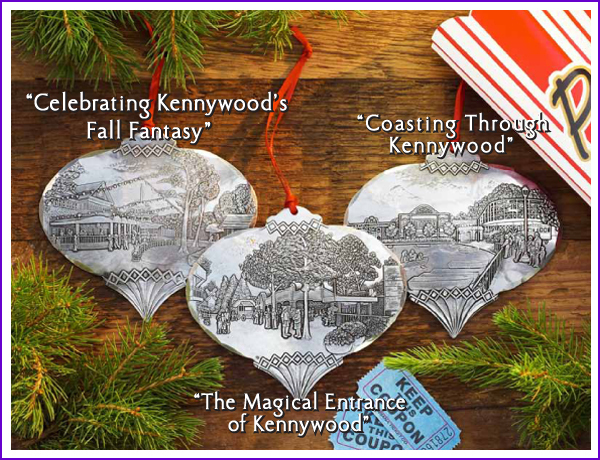 Nestled under a canopy of trees awaits the first glimpse of excitement we have come to know as “The Magical Entrance of Kennywood.” For 100 fun-filled years children walked into Kennywood Amusement Park with anticipation of a day filled with activity, delight and laughter. 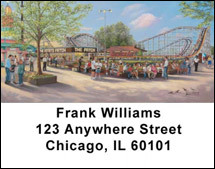 Adults fondly remember their youth as they grew up in this beloved park. 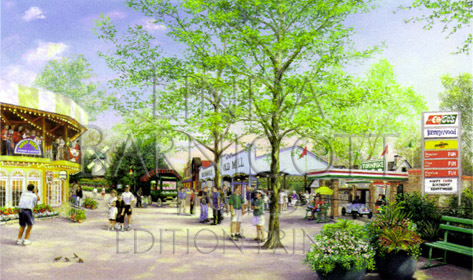 As newcomers experience surprising joy walking through the tunnel and into Kennywood, the artist invites you too to take a magical stroll into this painting. Sense the thrill of your first ride behind the wheel on the turnpike. Feel the tingly suspense of a boat ride through Kennywood’s oldest ride, the Old Mill. Appreciate the beauty of the historic wind mill and taste the special treats of the cotton candy cart and the sweet buttery fudge in the Kandy Kaleidoscope.